The final Cars & Coffee Brisbane for 2017 will be held on Saturday the 2nd of December. Please join us in your rare, classic, vintage, historic, exotic or race vehicles. 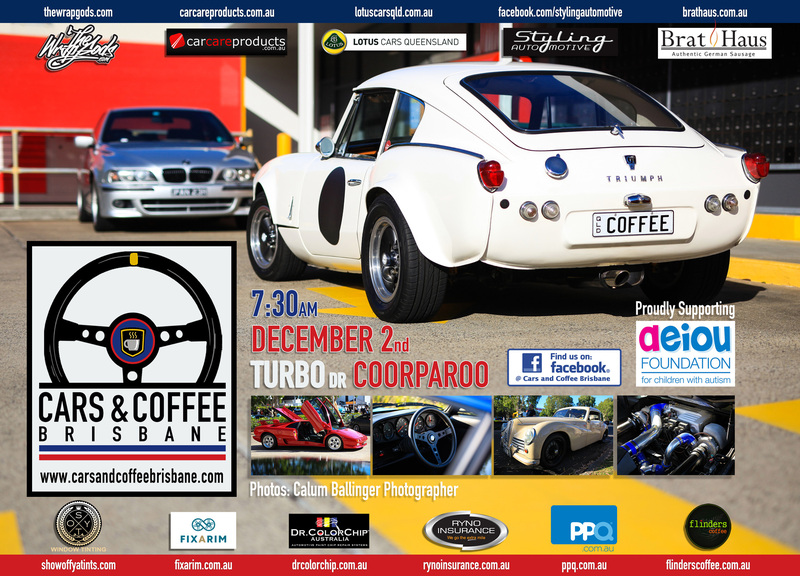 We would like to thank our sponsorsPPQ Personalised Plates Queensland, The Bratmobile, Fixarim Pty Ltd, Styling Automotive,Show off ya Tints, Ryno Insurance Services Pty Ltd,Car Care Products, Flinders Coffee, Lotus Cars QLD& The WRAP GODS for their ongoing support. Sadly we say goodbye to TEKNO Performance & M1 Safety Certificates this month, but welcome Dr ColorChip Australia.